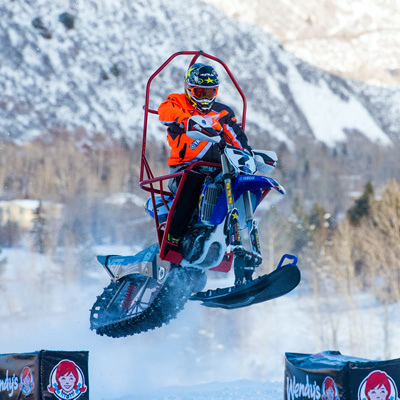 Brandon Bradbury is a 21-year-old from Yellowknife, Northwest Territories, who drove over 4,200 kilometres (roughly 50 hours) just so he could race snowcross. If that’s not determination and commitment, I don’t know what is. 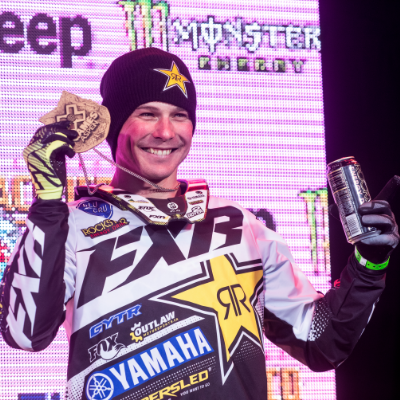 Bradbury first began racing snowcross when he was just four years old. 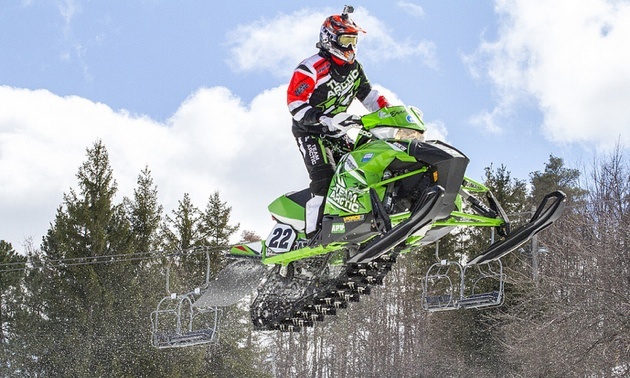 As he got older and his skills increased, he upgraded from Mini Zs to a 370 and finally to his current 2014 Arctic Cat SX Sno Pro 600. Originally Bradbury raced in the Great Slave Snowmobile Association (GSSA) snowcross circuit, but as it began to shrink in numbers the circuit was shut down. Bradbury was forced to begin travelling further south to keep racing. His options were to either run the International Series of Champions (ISOC) in the United States or spend a season racing the Canadian Snowcross Racing Association (CSRA) circuit. To help with his decision, Bradbury travelled down to Kitchener and Barrie, Ontario, in March 2013 to race in the Pro-Lite class of the CSRA. He ended up placing third in the Saturday Pro-Lite final in Kitchener and Bradbury decided to run the 2013-2014 CSRA season. Bradbury said that the CSRA is the best choice for him while he transitions between the supercross style groomed tracks of the GSSA to the rougher and more competitive tracks of the CSRA. Once he completes a season or two in the CSRA circuit, he will hopefully be headed to ISOC. In the world of snowcross racing the ISOC is the top circuit in the world, with smaller circuits like the CSRA being training grounds for riders looking to follow in the footsteps of famous racers like Bradbury’s favourite, Tucker Hibbert. The CSRA season opener was held December 14 and 15 in Sault Ste Marie, Ontario. This event is actually the closest race for Bradbury—the furthest race will be Quebec City, which is a total of 5,300 kilometres from Yellowknife. Saturday’s final was moved to Sunday, as the overcast skies and surrounding hills brought on dusk earlier than expected. Bradbury’s goal for this season is to make every race, and if that works out he wants to win the Pro-Lite Championship.